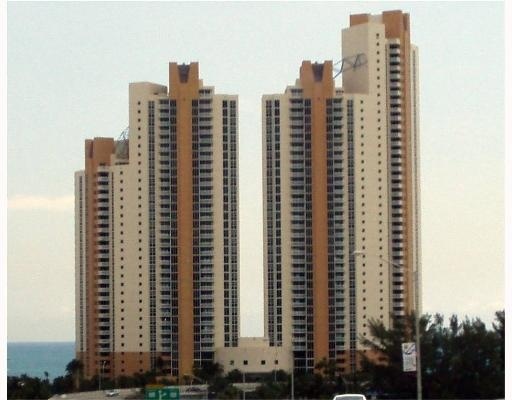 Among the things that most distinguishes Ocean Two Condominium residences in Sunny Isles Beach from other South Florida oceanfront communities is the emphasis on delivering the services of a five-star resort. The towers of Ocean Two will share the amenities of a dramatic three-story lobby and the two-story lifestyle and entertainment center. 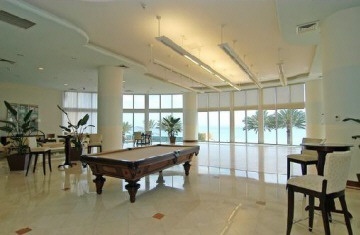 Club, card, media and game rooms serve as an extension of each homeowner's residential space. Furthermore, central to Ocean Two's active lifestyle is the fully-equipped health club and spa. 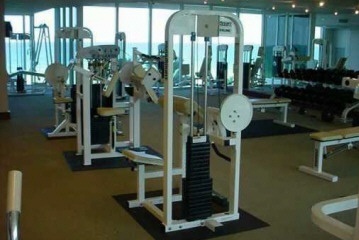 The facility boasts all the latest cardiovascular and strength training equipment for a full circuit workout. But that's just for starters. 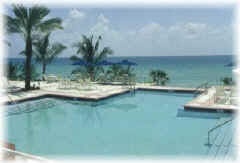 The fitness center and club rooms overlook tennis courts, cabanas, an oceanfront swimming pool and sundeck, and more than 500 feet of white sand beach. Best of all, complimenting these facilities will be around-the-clock gated security and private key card access to covered garage parking. 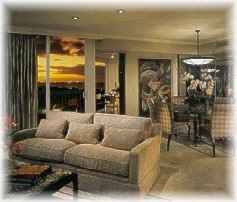 Homeowners can also look forward to mail and package receiving desk, porters to assist with luggage and groceries, and a 24-hour concierge staff to handle everything from restaurant, airline and limousine reservations to securing theater tickets, ordering fresh flowers, sending a tuxedo out to be cleaned, or arranging for the catering of an impromptu cocktail party. In short, Ocean Two has been conceived with one goal in mind - to deliver the best of the good life in quintessential South Florida-style. 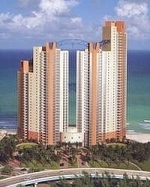 Ocean Two oceanfront condominium homes are priced from the low $600k's to over $4m. 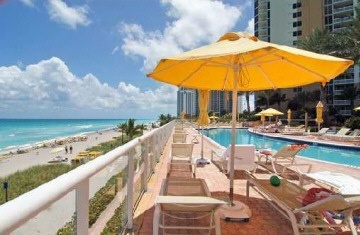 A home at Ocean Two can be anything one desires - There's pristine beaches and gentle surf to the east, and some of South Florida's finest restaurants and shopping to the west. Situated on 500 feet of lush beachfront where Aventura meets the Atlantic, Ocean Two is just minutes from the heart of Aventura Where an abundance of sundries, banking, professional services and stylish eateries ensure a convenient and luxurious lifestyle. Some of South Florida's most coveted shopping experience also are located nearby, including Aventura Mall whose anchor stores include Lord & Taylor, Burdines, Macy's, and Bloomindales and Bal Harbour Shops which features such stores as Neiman Marcus, Saks Fifth Avenue, Channel and Gucci. Ocean Two is centrally positioned between Fort Lauderdale and Miami, offering the rich variety of cultural, commercial and sporting attractions in both cities. Although Ocean Two residents are unlikely to want to leave their tropical haven, the property is approximately 20 minutes from both Miami and Fort Lauderdale international airports. Ocean Two's 254 two and three bedroom residences and penthouse homes boast floor-to-ceiling glass and oversized private balconies from which to survey ocean and Intracoastal vistas for as far as the eye can see, with all the comforts of a true luxury condominium. 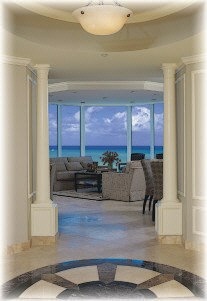 With the help of award winning designer Ted Fine the decorator of Ocean One's Model "F" apartment (which is slightly modified and made larger in Ocean Two) showcases Ocean Two's lifestyle in all it's beach front grandeur. Contributing to the luxury of each Ocean Two residence is a gourmet kitchen and lavish master suite - The kitchen will satisfy even the most demanding master chef, featuring granite countertops, designer European cabinetry and top-of-the-line appliances, plus a spacious eat-in breakfast area. Meanwhile, each master suite boast room sized walk-in his and hers closets and a bath fit for royalty, complete with marble floors and vanities, not to mention a sumptuous whirlpool tub. Elegant smooth ceilings rising to 8' 7 1/2"